Gardening is a beautiful and healthy thing, right? Bright flowers, fresh food, dappled shade from a leafy tree... unfortunately, it also means lots of plastic. The gardening industry consumes hundreds of millions of pounds of plastic each year and, according to Penn State scientist James Garthe, only about 1% of that is recycled - a far lower rate than other industries (about 25% of plastic in milk jugs is recycled, for example). Why does an industry that should be green have such a horrible track record when it comes to plastic, and what's a home gardener to do? "The $10 billion-a-year U.S. horticulture industry is based on cheap oil and cheap plastics," writes Beth Botts in the Chicago Tribune. Botts has won awards for her eloquent writing on the problems of garden plastics. Chief among them is the lack of standards for materials, colors or sizes of pots and other garden plastics. Often the materials used are not even identified -- making them devilishly hard to recycle. And the industry shies away from reuse because of the risks of spreading plant disease. The result is a scenario most gardeners at some point face: an ever-growing tower of pots and flats languishing in the shed, eventually to be thrown out. But things may be changing. 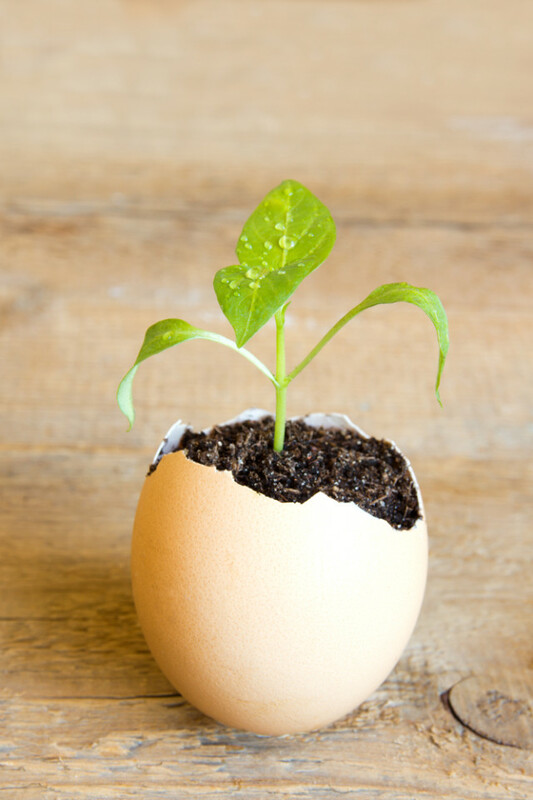 The American Nursery and Landscape Association is developing a biodegradable pot made from chicken feathers it hopes can one day become the standard, and retailers now offer an array of alternatives, from coconut coir and rice hulls to pots made from cow manure. But the impact so far has been limited. Most gardeners still face a mountain of plastic when they visit their local home supply store or nursery. Fortunately, there are things we can do, especially here in the Portland area. Grow plants from seed (clean and reuse trays or pots every year) instead of buying starts in disposable plastic pots. It’s cheaper, and you can trade seeds and cuttings with friends. Portland has a number of community seed exchanges. You can also buy plants grown in peat pots at some nurseries, and pot-free bare root plants from area nurseries. Avoid plastic packaging by buying fertilizer and other supplies in bulk. Look for recycled content when buying durable plastic items like hoses, row covers and compost bins. Recycled materials are becoming more and more available. Fabric row covers like Reemay can be reused over and over, and even washed. It's best to avoid plastic in the first place or reuse it, but we in the Portland metro area can now recycle pots in the blue bin. They have to be rigid and more than four inches in diameter - you just need to rinse them first. Other ideas for avoiding or minimizing plastic in the garden? Please share!